Your pets will be looked after by our caring team here at Sherae as if they were our own. As Breeder / Exhibitors for 35 yrs now, and the only show dog people in the industry here in Perth, we know what your pet requirements are. Our brick kennels are spacious and are in an ideal garden setting. They are cool in summer and plenty of room to stretch out. 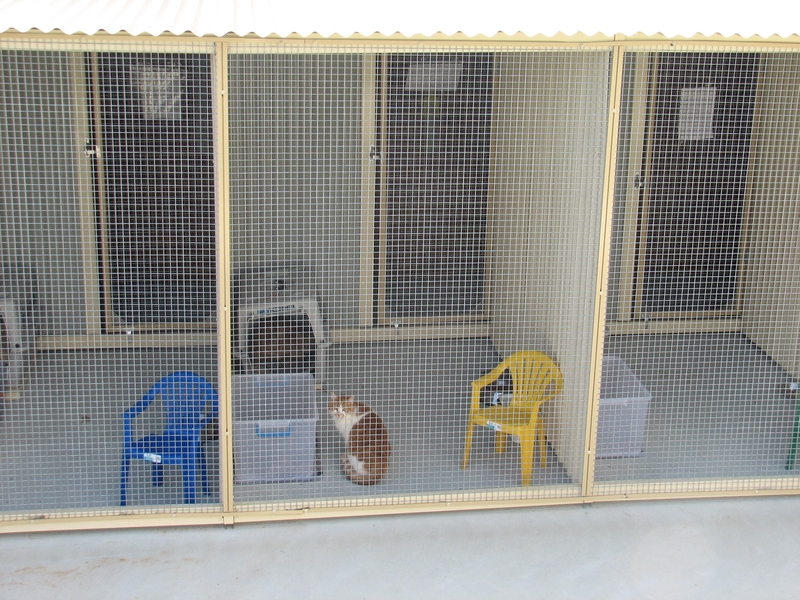 We at Sherae Petlink pride ourselves in our very hygienic / quarantine style facility, and are at your pets service. Small toy breeds, or anything that is a little bit highly stressed, are kept in our air-conditioned nursery if warranted. Veterinary treatment is at hand 24 hrs a day if required. Someone is here in attendance almost 24 hrs a day, 7 days a week. Only top quality premium foods are fed to our 4 legged customers / passengers while waiting to fly . Cats that are to be flown by our company Sherae Petlink are kept separate from the dogs and reside at Angels Rest, our Family Cattery which is a 5 minute walk from the kennels. Once again , they are living in a lovely garden setting with quiet surrounds and the comforts of home. Extra large and very spacious cat runs with their own Sleeping Quarters, Chairs, Pillows, Tree Trunks and Scratching Posts etc. All diets are catered for. Natural homeopathic treatments & remedies available . Qualified and Certified Reiki masters in attendance. Please also click HERE to see information on "Angels Rest Cattery"